One, and it's really big. This is the ninth pattern in Craft Work Knit, my self-published collection of 10 new patterns. 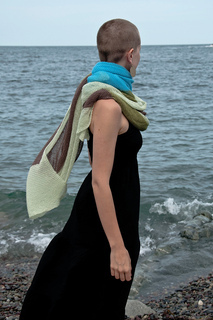 Like the Albers Cowl, this simple shawl is based on the Homage to the Square paintings by Josef Albers. Knit entirely in garter stitch, this shawl is warm, it’s light, and it makes a big impression. 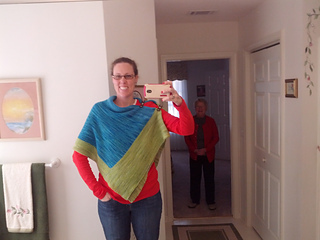 Thanks so much to Andrea (peatmoss83) for knitting the bulk of this sample. That’s a lot of knitting!! !